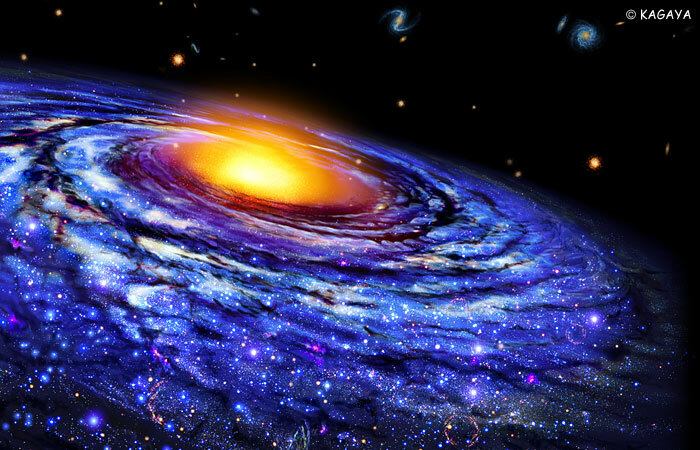 The Milky Way Galaxy is only one of countless galaxies. Nonetheless, it has one hundred billion stars and our solar system is only a very small part of it, situated on its outskirts. Numerous stars are being born at various places in the spiral arms of the enormously vast sea. Every one of them will have a drama of its own life.